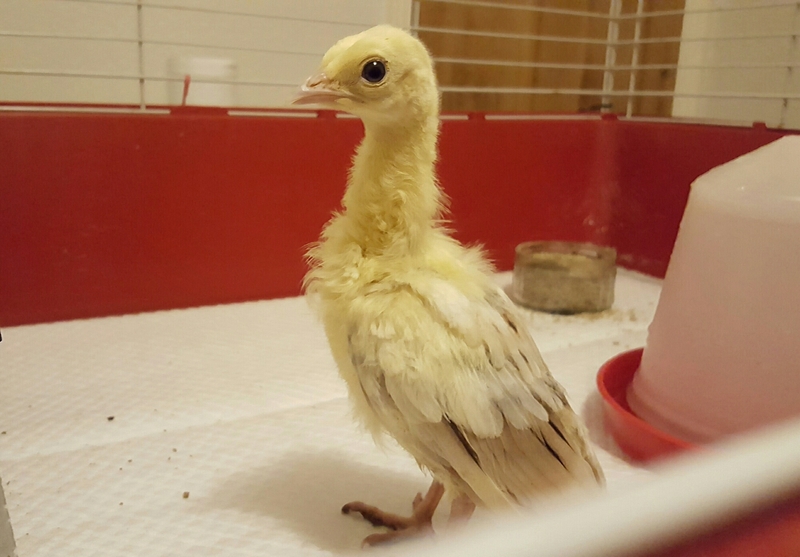 Having said I would never, ever have another peafowl hatch… I did. 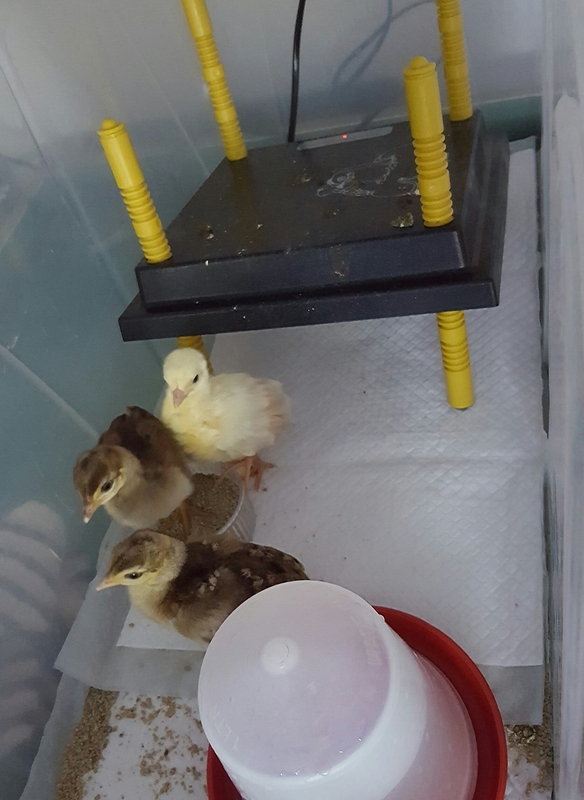 They were hatched for someone else, 2 hatched out of 6 eggs, a white and a brown (that would ultimately be an Indian blue). 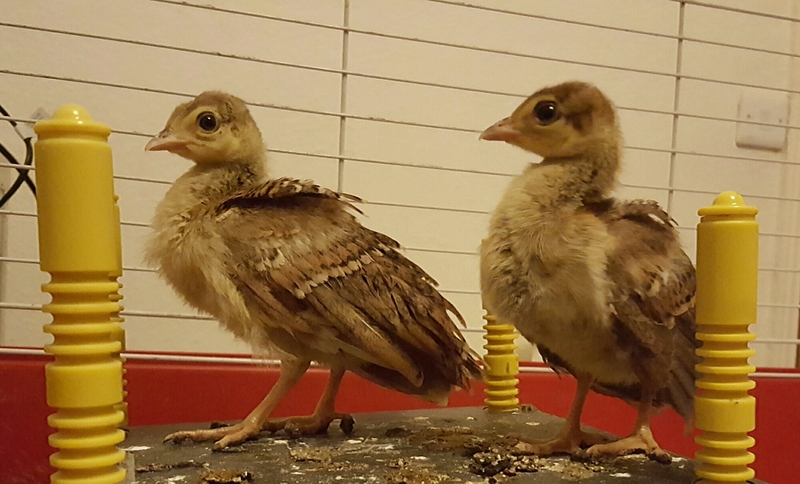 Young peafowl have to be sheltered from draughts… They are very long sighted like turkeys so have trouble seeing things close to them – like where their food is. Also whereas ducklings and baby chickens instinctively peck for food, peafowl don’t. I had great trouble getting them to eat… and it seemed like a lot of work for 2 underwhelming young birds. The other day though I met someone who reckoned they weren’t difficult … and I thought I’d try again. Like the guinea fowl, I intend to keep them as long as I can until they get too noisy! I had 2 lots of 8 eggs, as always doing my best to get eggs from at least two sources. 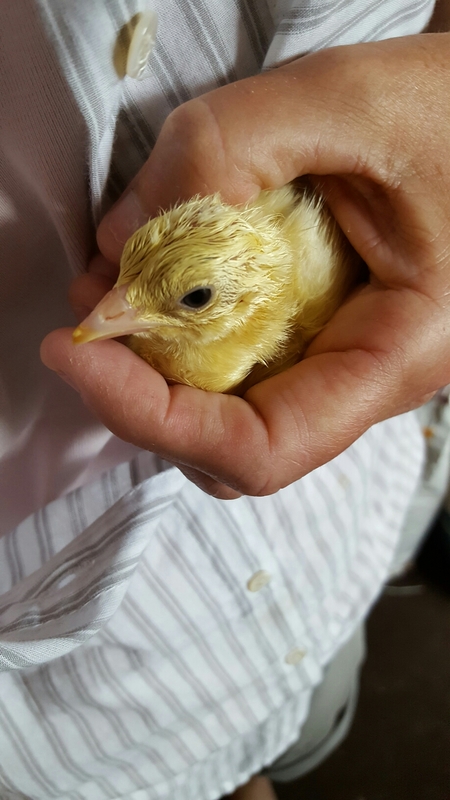 However everything didn’t go to plan… Only 4 hatched, all from the same lot, and none of the others. Then one of the 4 died only a few days old. The 3 are doing well, but it’s rather disappointing – not least because the eggs are very expensive. I won’t tell you how much!!! Aside from one dying (which happens or can happen with any hatch) they have been fine; I have just let them get on with it, which they have. First 2 hatched. 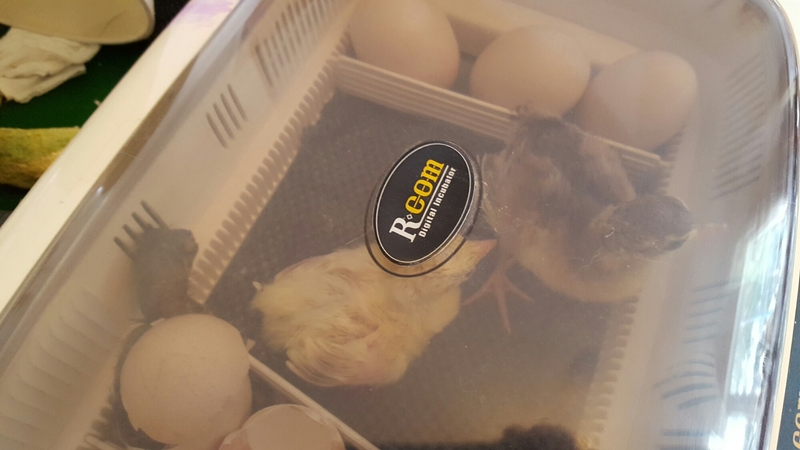 The first one to hatch was the brown and yellow one. It was the one that only lived a couple of days. The second one looked white at first but then developed fawn tips to its wings. I understand it might be a black shouldered but that doesn’t make sense to me. … and a couple of weeks old. 16 (8+8) eggs in the incy 16th July. At lockdown 5/8 and 2/8 looked good.